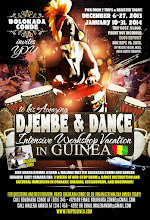 BOLOKADA CONDE - MALINKE DJEMBEFOLA: Travel to Guinea with Bolokada Conde for an unforgettable experience of a lifetime. 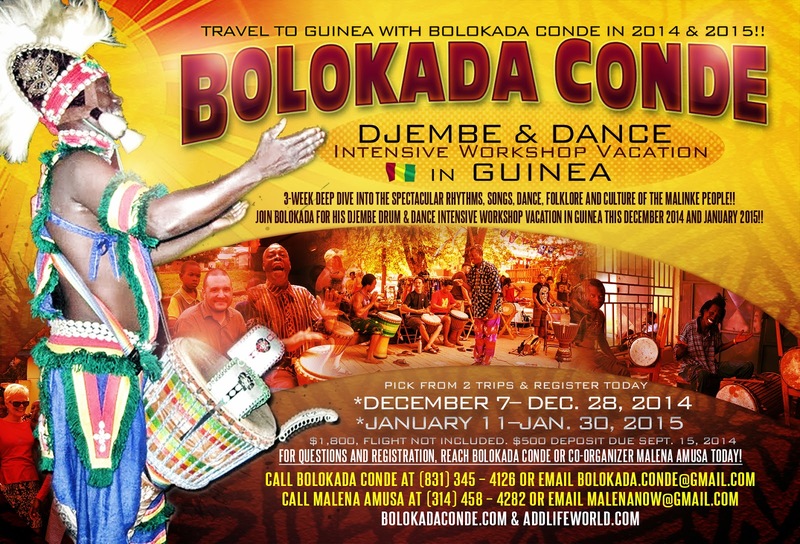 Travel to Guinea with Bolokada Conde for an unforgettable experience of a lifetime. 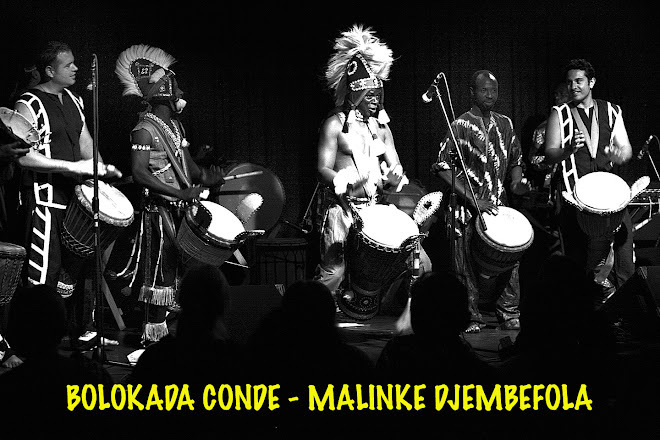 ORDER YOUR NEW PROFESSIONAL DJEMBE FROM BOLOKADA CONDE - Send an email to Bolokada.conde@gmail.com and he will email you a picture of what is available and price excluding shipping charges. DJEMBE REPAIRS - Bolokada will put a new skin and if needed, new ropes and rings on your djembe to produce the professional djembe slaps,tones and base sounds that meets his standard. Bolokada Conde is currently teaching at the University of Illinois at Urbana - Champaign School of Music for the academic year 2008-2009 and 2009-2010. He will continue to do drum workshops in various conferences as his schedule allows him. 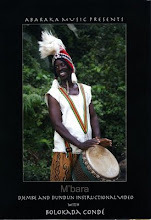 He will have a Drum and Dance Tour to Guinea From December 20, 2009 - January 20, 2010.
please contact him - he has quite a few in inventory. 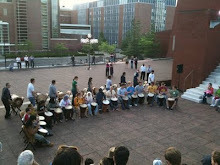 Get that djembe with the Bolokada sound. 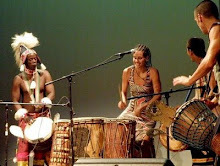 Bolokada Conde is true Master Djembefola (master drummer), expert of Malinke Rhythms and one of world’s best djembe player. Bolokada was a young musical prodigy who became a sensation in the Sankaran region of Guinea, West Africa. As a master folklorist, he became the premier djembe player in all the major village celebrations in the region for many years. 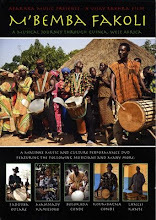 Bolokada joined the world famous Les Percussion du Guinee to replace the legendary Momoudy Keita as their lead drummer. He traveled and performed in major performance venues all over the world since 1996 and was featured in the IMAX movie PULSE: a Stomp Odyssey. 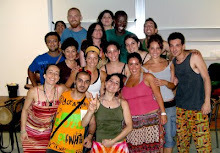 Since 2004, he has been performing and teaching in the United States. 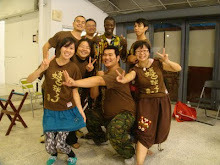 He is the musical director and lead soloist of Ballet Waraba in North Carolina, Ballet Wassa-Wassa in Santa Cruz, California and Les Percussion Malinke in the San Francisco Bay Area. He has conducted percussion workshop all over the US and Europe. Mamady Keita, the best known djembe player in the world, calls Bolokada “A brilliant and entertaining performer, a patient and precise teacher, and as one of the few masters of his instrument. Few others are able to captivate his audience as he does, an even fewer are able to clearly and concisely teach this music." He was awarded immigrant status as an alien with extraordinary ability in the arts in 2007.